Quite a long one, too. 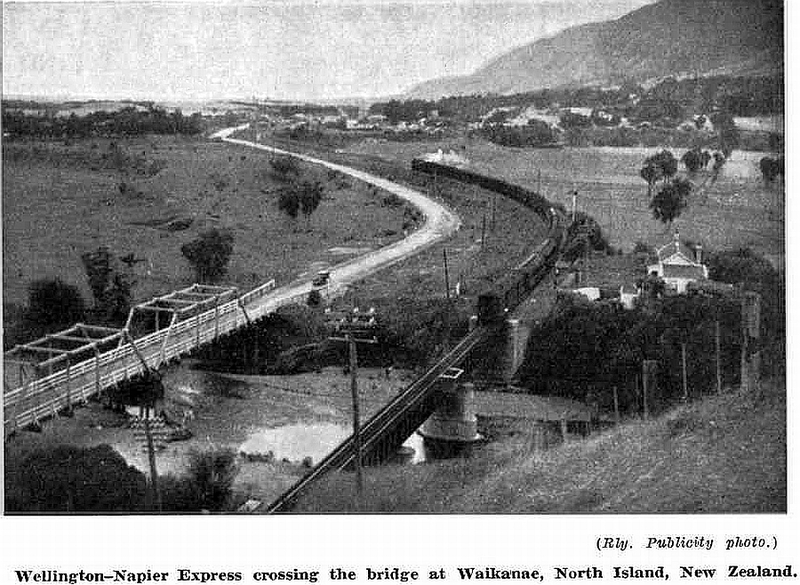 Napier is a destination that hasn’t been served by regular passenger trains since 2001. The railway bridge was the same as exists now, but the road bridge was replaced in the first half of the 1960s (see earlier posts). There was no development on the west side of the road in those days from the river bank as far as Te Moana Road, and only one house on the east side of the railway by the river bank. Buildings on Elizabeth Street are in the distance.